Importing your data into R to start your analyses: it should be the easiest step. Unfortunately, this is almost never the case. Data is stored in all sorts of formats, ranging from from flat files to other statistical software files to databases and web data. A skilled data scientist knows which techniques to use to in order to proceed with the analysis of data. In our latest course, Importing Data Into R, you will learn the basics on how to get up and running in no time! 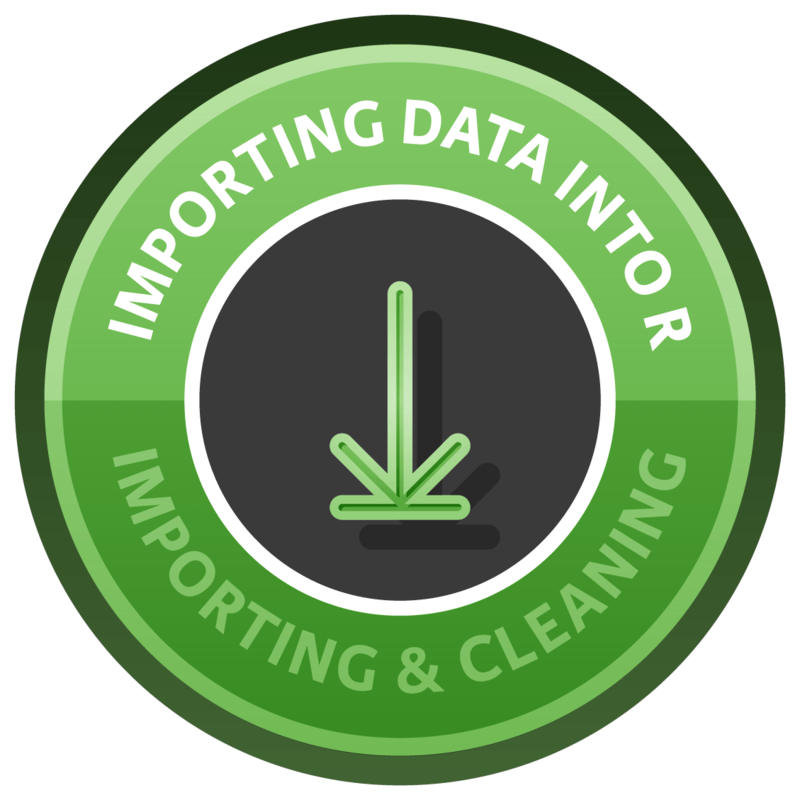 Start the new Importing & Cleaning Data course for free, today. Chapter 1: Learn how to import data from flat files without hesitation using the readr and data.table packages, in addition to harnessing the power of the fread function. Chapter 2: You will excel at loading .xls and .xlsx files with help from packages such as: readxl, gdata, and XLConnect. Chapter 3: Help out your friends that are still paying for their statistical software and import their datasets from SAS, STATA, and SPSS using the haven and foreign packages. Chapter 4: Pull data in style from popular relational databases, including SQL. Chapter 5: Learn the valuable skill of importing data from the web. Start your data importing journey here!